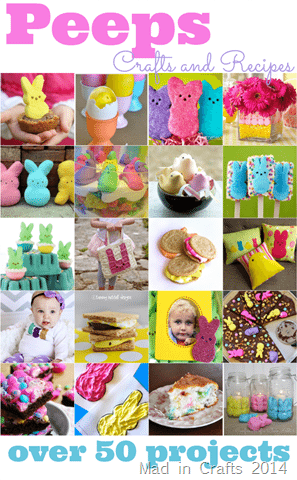 I despise Peeps. Put almost any sweet treat in front of my face, and I will eat it. But those neon sugar-coated monstrosities? No, thank you. And the ones that claim to be chocolate-flavored are an abomination and should be publicly burned. But, I get that some of you people like to eat them. Don’t worry, it’s okay to be wrong sometimes. 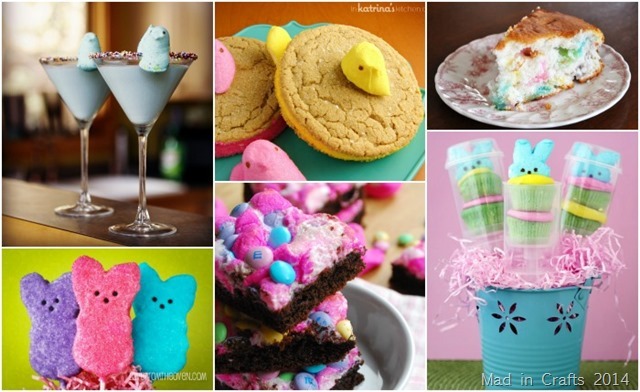 😉 I do have to admit that Peeps are cute and colorful and kind of an institution when it comes to Easter candy. 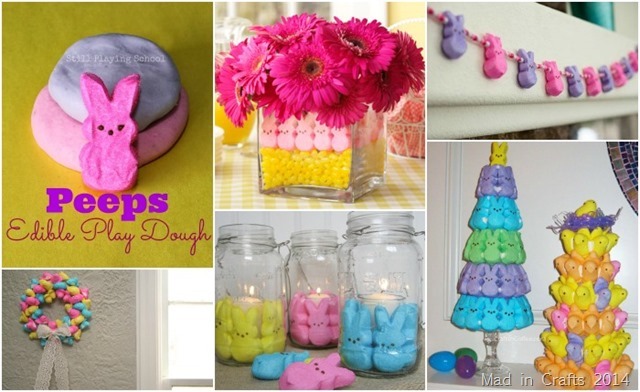 So in that spirit, I have rounded up uses for Peeps, both as craft materials and as food and drink. How did I miss this round up earlier? I was an avid PEEPS eater as a kid, not so much now. But I do like crafting with these iconic treats. 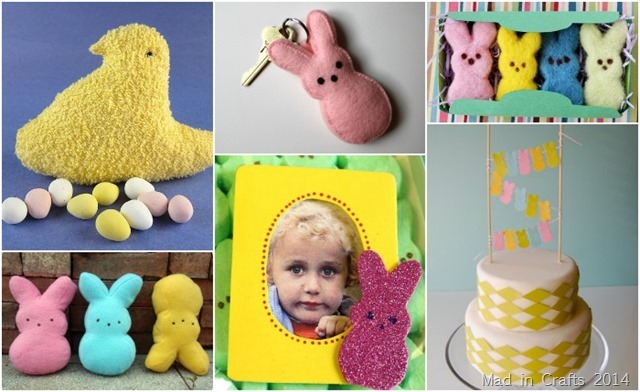 Thanks for including the Easter PEEPS Topiaries from CraftsnCoffee. What a great round-up! Thanks so much for the linky love!